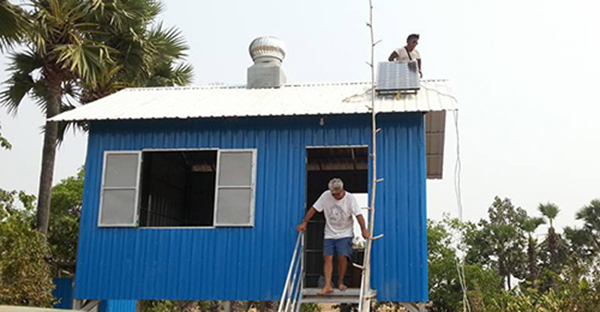 In Kampong Chhnang, KARC has finished a house for a disabled family. The house is complete with solar panel system and small 14″ TV, a toilet, a useful handphone, and $100 to set up a small local business. While in town, KARC also provided some food and kitchen items for another 6 families. A woman and her family of 6 children in Takeo province stand grateful after KARC delivered rice and money towards their new house. Two houses for two families completed in Kandal province. Many thanks to the head of the village and ministry of women affairs who made it a smooth success. In Kampong Tuol, KARC has completed this house for a local family.